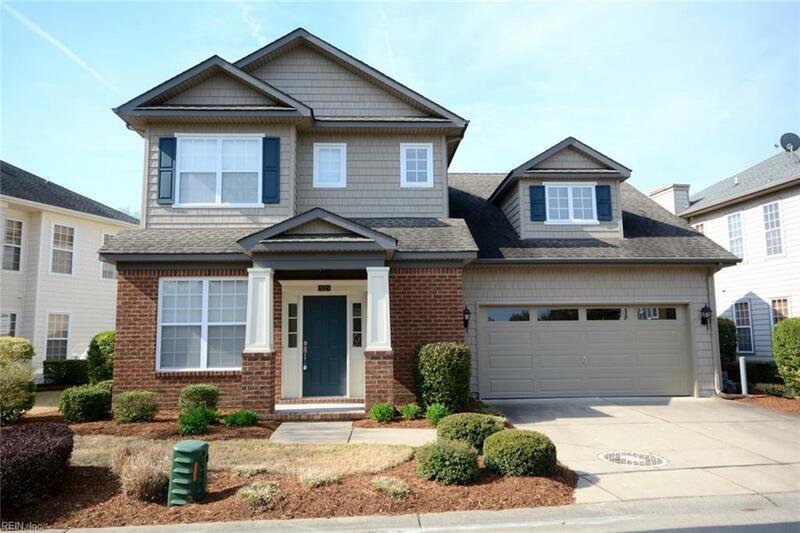 5225 Shepparton Way, Virginia Beach, VA 23455 (#10250816) :: Abbitt Realty Co.
Come see this well cared for home with a view of the pond and walking paths. This property features a spacious 1st floor master bedroom with a HUGE walk in closet, large bathroom with double sinks and soaking tub. Wood floors on the first floor. Sizable laundry room and closet also on the first floor. Kitchen features cultured marble countertops with coordinating black appliances and large white cabinets. The generous kitchen island is great for entertaining or having all the space you need to prepare great meals. 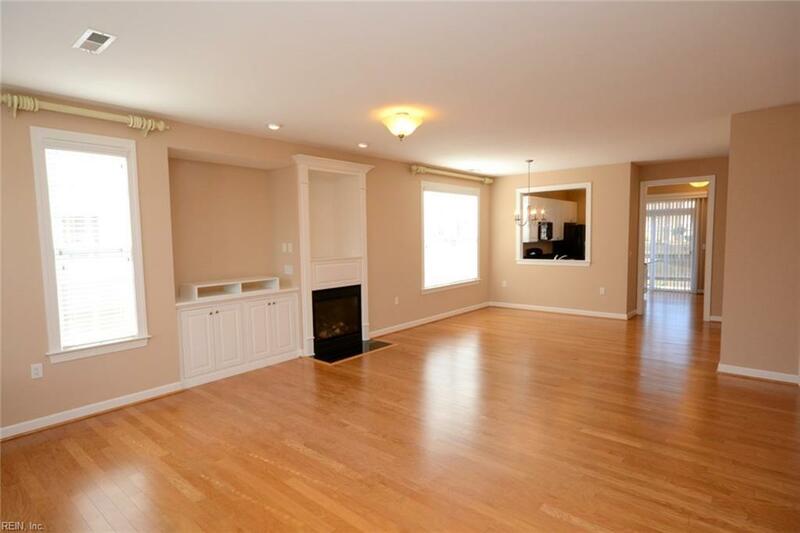 9 foot ceilings give the place a roomy feel, and the back patio has a retractable awning. 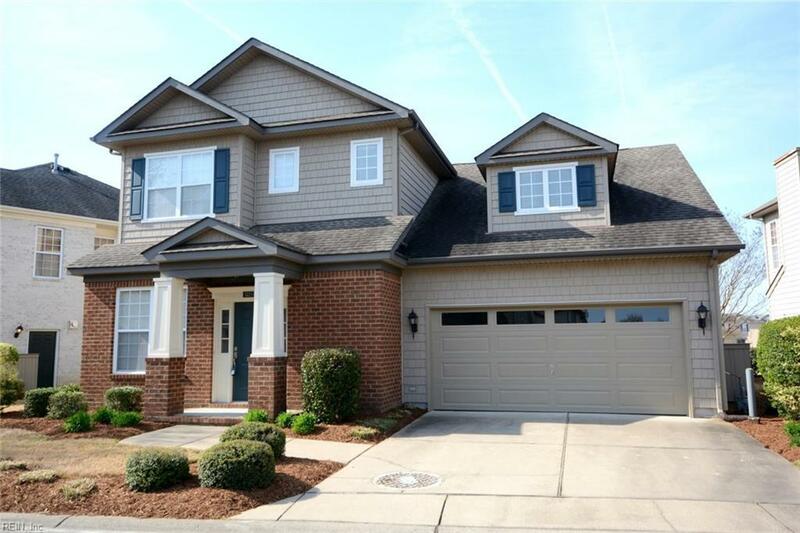 Located within a short walk to nature trails that take you to the woodland preserve and songbird habitat. Unfinished room over the garage can be used for storage or finished to add 415 square feet and a possible bedroom/office to the house. Condo association includes access to pool, clubhouse, water, sewer, and trash pickup. Don't miss your opportunity to own in this location!